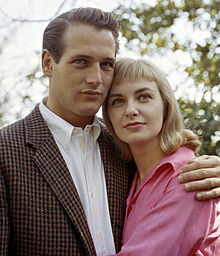 Paul Newman went to Shaker Heights High School, and he once asked my mom out for a date. She refused, as he belonged to the high school theater group. My mom, just a teenager, was out to have fun! One of my good friends in the ad/movie business who knew Redford very well told me a hysterical practical joke that Redford pulled on Newman once. He borrowed Newman’s Porsche and had a smashed up one delivered back to Paul’s driveway with a note saying his was sorry. Same color and year and model. All in good fun apparently. The two of them played these sorts of jokes for years on each other.